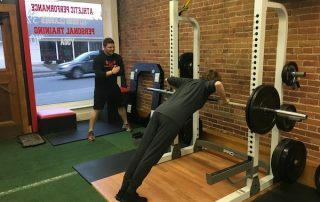 Working with a personal trainer is an investment of time and money. How do you know you made the right choice? And what are the signs that it's not a good fit? Feeling out of shape, but have no time and no one to watch your kids? 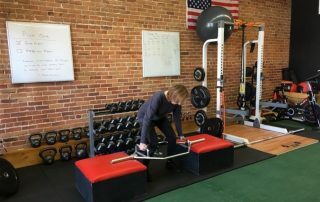 A Maine fitness center has the solution for some parents. A Fit-Family Boot Camp. 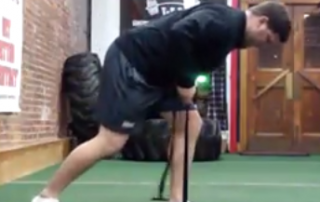 There's a right and a wrong way to pick things up without hurting your back. 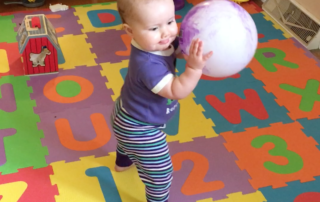 We have some lessons from two pros — a personal trainer and a toddler. 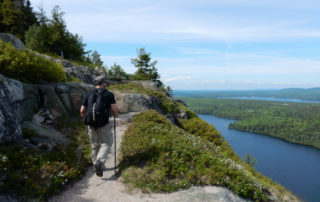 If this is the summer you want to do some hiking in Maine, be sure to plan ahead and follow these simple but important safety tips from some hiking experts. 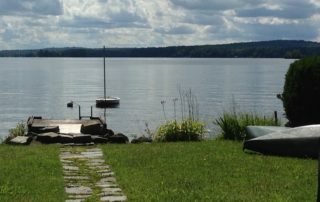 How to enjoy your summer and remain tick-free! Does the threat of ticks keep you from enjoying outdoor activities? If you're confused about how best to protect yourself, be sure to read these important tips. If I lift weights, will I become big and bulky? One of the biggest myths about women lifting weights is that they'll pack on the muscles and become big and bulky. What really happens? 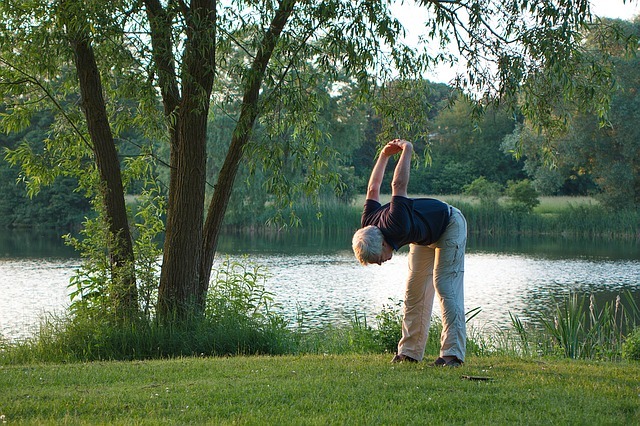 From early childhood to late in life, it's important to be physically active. 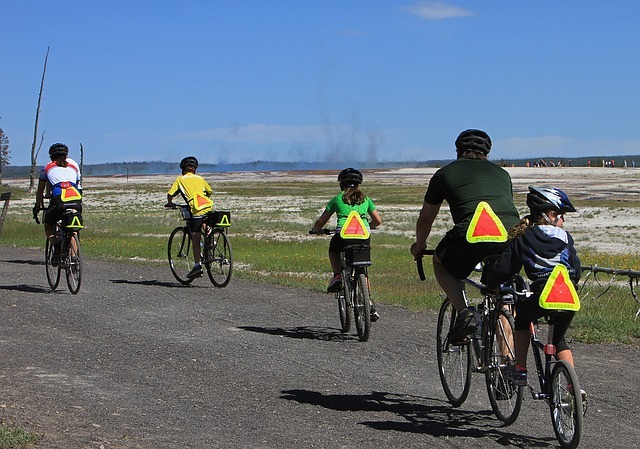 Catching Health has some easy to follow tips on how you can be active and be safe. We're back inside my discomfort zone this week and I'm sore from my workout. That's a good thing, says my strength coach Andy. He tells us why. Riding a bike is one of life's pleasures. 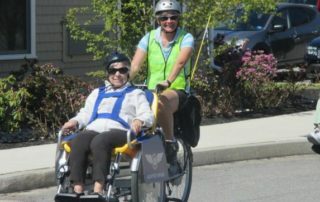 Portland Wheelers gives free rides to people who can't bike on their own. Demand is so high they need more volunteers. If you're a woman trying to be healthy, we've got all kinds of ideas for you. From getting physical to putting yourself first for once, it's all about YOU. Which is better — going to a personal trainer or taking a group exercise class? 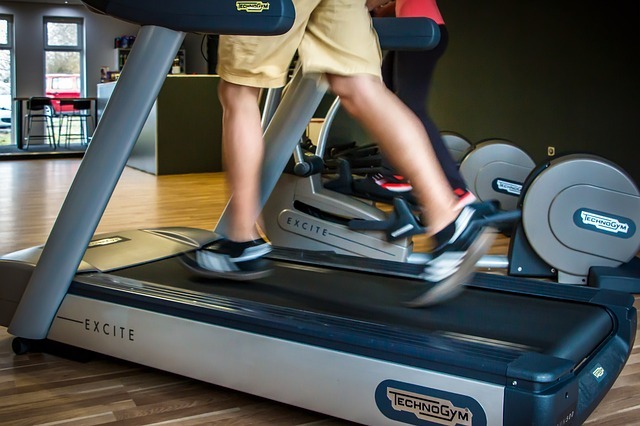 You want to get some exercise but you can't decide whether to see a trainer or take a class. Does it matter? I asked personal trainer Andy Wight. Dread growing old? It’s time to get a move on! Feeling old? Not as strong or agile or flexible as you once were? Take it from me and a couple of experts, get a move on and you'll feel a whole lot better. 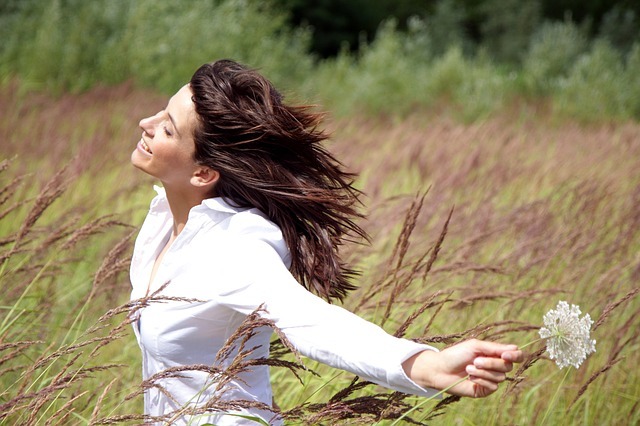 How does the thought of less stress and more vitality sound to you? 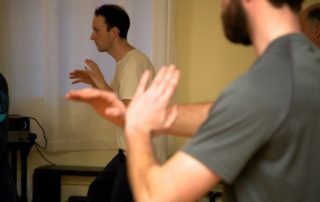 If you're yearning for both, you might want to learn the ancient Chinese practice of Qigong. 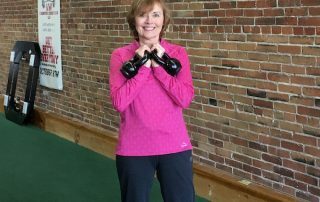 Because their joints feel stiff and they hurt, many people with arthritis stop being active, when regular exercise might help them feel better. 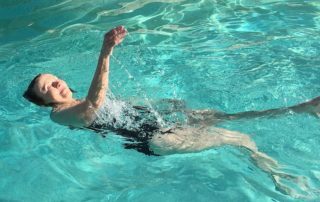 After three months of working with personal trainer Andy Wight, I went swimming recently and discovered yet another benefit of my hard work. Endurance. Which exercise is better for you – running on a treadmill or running outside? If you prefer running or walking on a treadmill, will you get the same workout as being outside? The answer from an exercise expert. 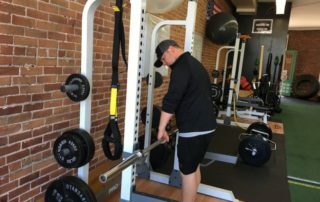 This week in my discomfort zone, I'm pushing my limits as I lift and push a lot of weight. Come along for the workout. Maybe you'll be inspired to push some limits, too. I've been working with personal trainer Andy Wight for about two months and feel so much stronger and more motivated. Join me in what I call my discomfort zone. 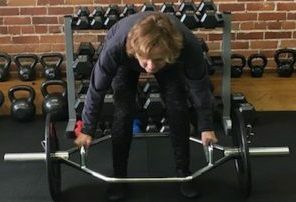 This week we're doing trap bar deadlifts. 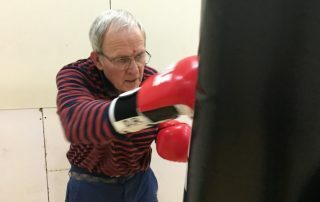 Research shows that intensive exercise can benefit people with Parkinson's disease. A new program in Mid Coast Maine is proving the point. It's called Rock Steady Boxing. What should you do when you miss two weeks of exercise? After being sick and missing two weeks of exercise I was tempted to give up. Thanks to my trainer's good advice, I'm back on track. If you already follow a fitness program, good for you. But if you don't, it's time to get started. We're here to provide some motivation. 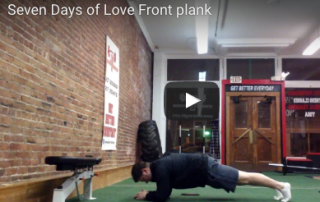 Seven Days of Love = seven days of simple exercises. What better way to show yourself some love than to get your body moving. We have some tips for you. Seven Days of Love. Day seven: Dead bugs! 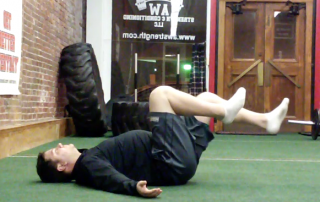 Every day for the past seven days, Andy Wight from AW Strength & Conditioning has demonstrated a simple exercise. Today he shows us how to do a favorite. Day six of Seven Days of Love. If you've been doing Andy's exercises, you must be feeling a lot of love! 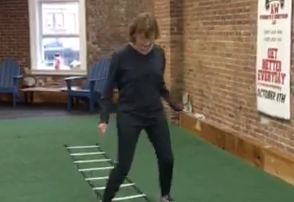 Today's is a great one for balance and stability. Day five of Seven Days of Love. Today, we're going to love our upper backs and improve our posture at the same time. 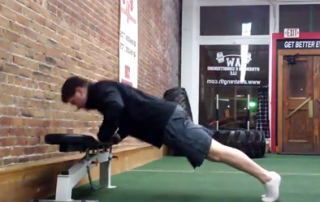 Get ready to do an isometric bent over row. That's a mouthful! Day four of Seven Days of Love. 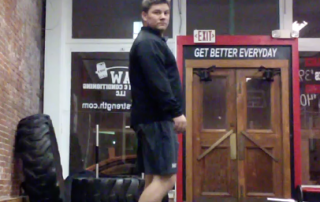 Andy Wight demonstrates how to do a reverse lunge with a slider. Get those legs in shape for summer! Day three of Seven Days of Love. 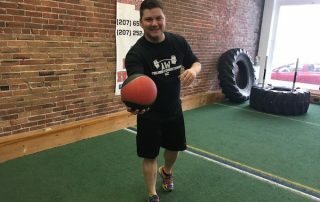 For the seven days leading up to Valentine's Day, Andy Wight from AW Strength & Conditioning will demonstrate a simple exercise. Join us! Want to get in shape, but can't get to the gym? 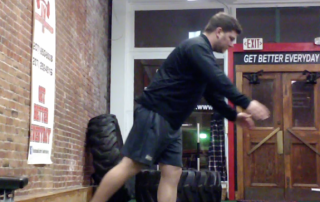 Follow Catching Health and AW Strength & Conditioning for Seven Days of Love. Every day a simple exercise. Every day for the next seven days (ending on Valentine's Day) trainer Andy Wight is going to demonstrate a simple exercise. We call it Seven Days of Love. After four weeks of working with Andy Wight, my personal trainer, I'm sore, but I feel stronger. Follow my progress — in my discomfort zone. 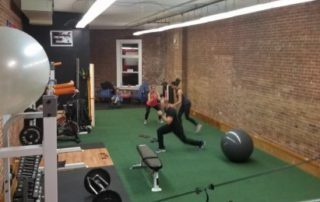 How working with a personal trainer is taking me inside my discomfort zone. It's also making me stronger. Follow my workouts.